“But that sounds boring,” was the cry from my boys when I announced that our family day out was going to be to RSPB Saltholme. However, a quick follow up with the mention of an adventure playground and cake and they were quickly on the move and getting into the car. Not to be defeated, I dug out an RSPB children’s book we had inherited for them to read in the car to get their imaginations going. It worked. They discovered that some birds look like punks and they were hooked, they were already talking about going back in May to see a Great Crested Grebe and we hadn’t even been once yet. RSPB Saltholme opened in 2009 and has welcomed in excess of half-a-million people since then. It is located near Middlesbrough, north of the River Tees, between Hartlepool and Billingham, in the sight of the Transporter Bridge, the Temenos sculpture by Anish Kapoor and Cecil Balmond and Roseberry Topping, amongst other local landmarks. Just 30 miles away we drove down the A19 from Newcastle and RSPB Saltholme is clearly signed posted from the A19. Parking was very easy and we found the welcome we received at the entrance friendly, informative and efficient. Kelly told us all about the reserve, which routes to take around, what activities were happening on that day and also how to join the RSPB if we wanted too. Although it was just about autumn, we had clear blue skies and temperatures reaching 20 degrees. This meant slightly disappointed boys that there wasn’t any mud to squelch in - but a much happier mum! We started off with a picnic in the adventure playground. With tunnels, swings, slides, obstacles and climbing walls it was so good that the boys could quite happily spent the whole afternoon there, but no, we had more to see! ... and numerous dragonflies – the boys counted over 25 in total but it was probably more. 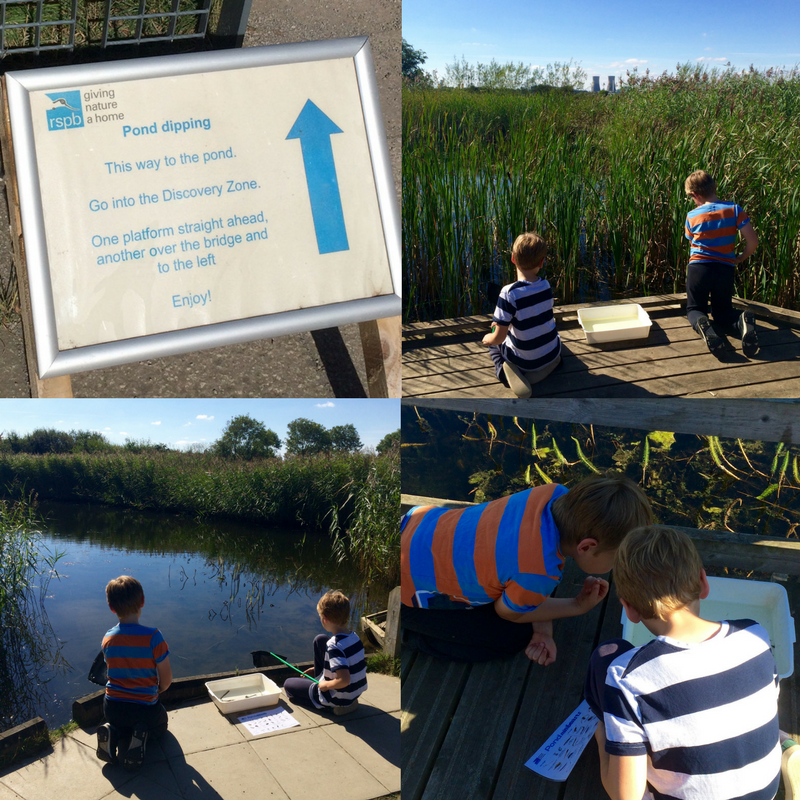 We finished pond dipping – a success in more ways than one – it later turned out to be the boys favourite bit of the day (beating ice-lollies and the adventure playground) and no-one fell in. We then started to follow the trails. En-route there are wooden characters from Alice in Wonderland to engage the children, as well as the mini-beast hotel and hedgehog campsite. 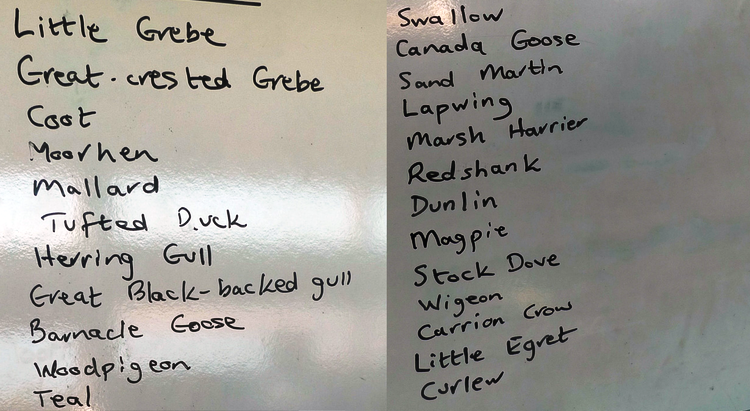 The Lake Walk took us to the Wildlife Watchpoint hide where a kingfisher had been spotted earlier in the day, but sadly not by us, however, we did see plenty of wildlife including feeding birds, ducks, and the mouse house. The Lake Walk was followed by The Kestrel Trail, on which you’ll find the Jubilee Viewpoint - a glass compass art piece from where you get a panoramic view over the reedbeds, lakes, pools and grasslands. As it was such a clear day we saw Roseberry Topping amongst the North Yorks Moors, Transporter Bridge, the place where Quorn is made, Middlesbrough Football Ground and lots of cranes, pipes, and chimneys. I really like how this art piece highlights how industry and nature can work together – simple yet effective communication. Back on The Lake Walk and we reach Paddy’s pool. The view across Paddy’s Pool of the Transporter Bridge from the hide was amazing. We didn’t spot much ourselves but there had been lots of sightings earlier in the day as people helpfully write up what they have spotted on a whiteboard. Other walks we didn’t try this time included the Wilderness Trail; a Dragonfly Path – however when we visited there were Dragonflies everywhere; and a Wildflower Walk – even so, we did walk past these beautiful flowers. On the way back to the visitor centre we spotted a Kestrel, hovering in the blue sky. Lots of serious photographers followed it to where it ‘posed’ on a fence post but sadly the lens on my camera was not sufficient to get a good snap. At the end of the walk – a couple of miles – along with an easy path – and it was time for cake. We shared fudge brownies and rocky road from the café – both delicious while we took in the panoramic views across the reserve. An ice-lolly and a final trip to the adventure playground including this time the willow maze and it was time to set off home with two tired but very happy boys asking when they could return! 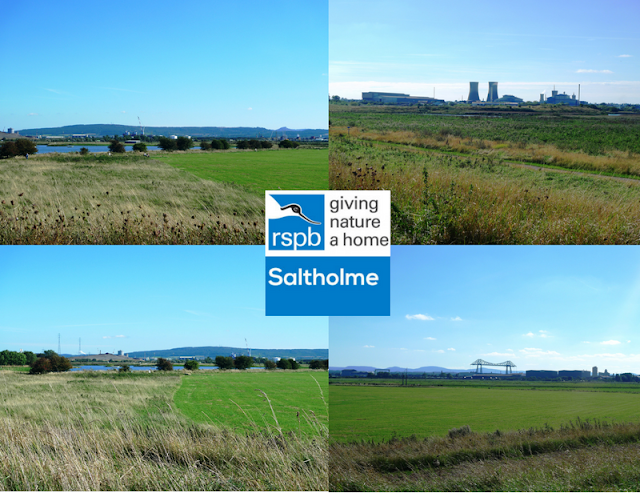 RSPB Saltholme says it has big skies, fantastic wildlife and a friendly welcome in the heart of Teesside – it certainly does. 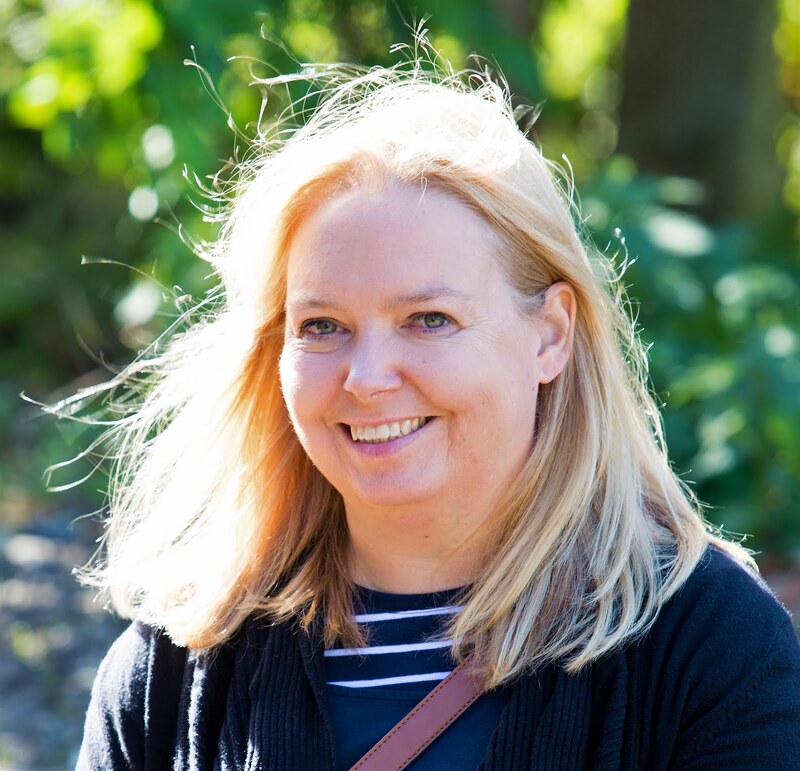 It has to be said we were incredibly lucky with the weather but all in all, it was a lovely family day out – and you don’t have to be big bird watchers to enjoy it. Cost: £5 per car, but RSPB members get in free. If you are visiting only the cafe and or shop and are staying an hour or less, it is free. Come by bike, public transport or on two feet and it won’t cost you a penny, no matter how long you stay. Time: Up to a full day and the kids still weren’t bored. Equipment: Sturdy shoes and wellies when wet. Binoculars (although you can hire them for £3) and a camera. Boys Club Rating: The boys gave it 9.5 out of 10 for a day out – that’s high praise indeed. Where is your favourite wildlife attraction? Check out more images on Facebook or why not 'LIKE' our page?